President Buhari welcomes Netherland’s decision to assist in restoration of Lake Chad Basin – Royal Times of Nigeria. 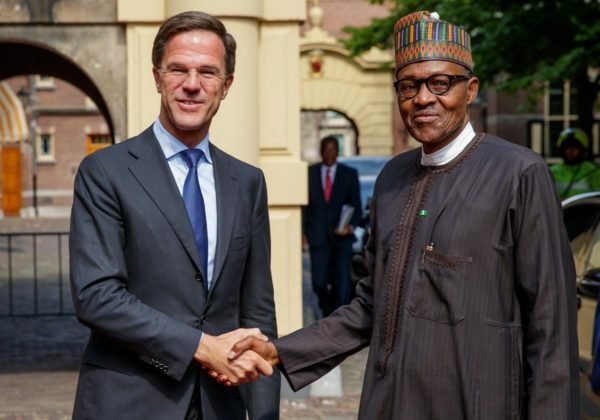 President Muhammadu Buhari has welcomed the interest of the Dutch Prime Minister, Mark Rutte, to support the restoration of the Lake Chad to its old glory. Speaking when he met with the Dutch Prime Minister, at The Hague, President Buhari also welcomed Netherlands’ commitment to establish a technical committee to work with the Nigerian side on the best approach to address the shrinkage of the Lake Chad. Prime Minister Rutte congratulated Nigeria on the enormous strides being recorded on the economy, including Nigeria’s rising profile on World Bank’s Ease of Doing Business. The two leaders agreed on the need for more collaboration to increase trade.